K handed me a draft, written on a piece of A4 paper, to review. It’s a simple table, if you want to call it that, that contained a list of tasks and their respective persons in charge. The tasks comprised bathing, feeding, cleaning up, etc. They were distributed among the family members: J, K, wife, and me. J and K approached me to get permission to have a dog. The handwritten “table” was a tool to convince me to let them have a dog as pet. I told them having a dog was easy but the chores that came with the dog were no joke. J and K had been pestering me with this many years back since they learned the power of negotiation. However, it was getting stronger and stronger. Especially during K’s birthday this year. He wanted to use his birthday to power up the success rate of the request. Hoping that I would give in. I remember telling them: After we are in it, we are in it for the long run. And we can’t give up after we get tired of the furry friend. Are you up to it? Of course, they said they are up to the task. But I was doubtful of the persistence they might have. It could possibly that they were up to it but to be on the safe side, I turned their request down. I don’t want to end up doing all the dog-related chores myself. That was 8 months ago. We had a couple opportunities to adopt a dog during those months. First a Siberian Husky (damn pretty; with blue eyes) and then a Golden Retriever (equally stunning). Surprisingly, J and K were not excited about the Husky. Not that it is not pretty but they complained that the dog was too big for them. They were intimidated. And not to mention the amount of fur that the dog produced. K also mentioned that he wanted to start from a puppy so he could watch a dog grow up from baby to adulthood. The idea died off again until our neighbors told us about a Golden Retriever up for adoption end September. The dog owner is getting married and moving into an apartment. It’s not convenient for her to take along Simba. Hence, her mother helps her look for a new home for the 5-year old canine. She asks around in the neighborhood by approaching dog owners. Coincidentally, she speaks to 2 neighbors that know us. The neighbors are aware that J and K are crazy about dogs and ask us if we want to adopt Simba. Long story short, we checked out Simba and the owner’s mother also brought the dog over to our house to let J and K have a look. The dog felt very at home and everything fell into place. 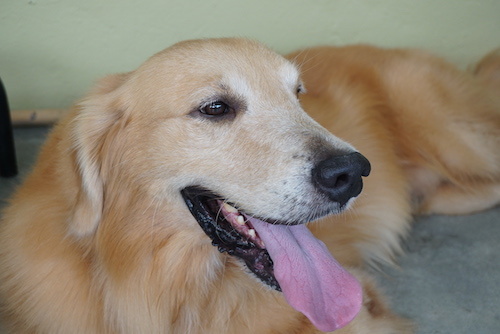 What’s left to do now is to decide if we want to adopt the adorable Golden Retriever. The decision lies in my hand as I am the only one who oppose to the idea. Of course, it’s big, definite “yeses” from J and K. They want to have dog since they know what a dog is. My wife is a dog lover; another yes. Just like the America’s Got Talent show, we need four yeses to go ahead. Don’t get me wrong. I don’t agree not because I am a dog hater. I love dogs too. Additional expenses aside, I just feel that I am not ready for the responsibilities that come with a dog. If I want to be a dog owner, I want to be a good and responsible one. I am worried J and K would sway from their responsibilities too. After giving a thought, despite what I just said, I changed my mind. We decided collectively to provide Simba a new home on 2 October. Why did I change my mind after numerous attempts from J and K to convince me to have a dog? I hear you ask. To be honest, in my mind, I already say “yes.” But I wanted to wait for the right time. How do I know when it’s the right time? Let the feelings do the job. After the initial meet-ups, the owner’s mother is comfortable with us. The dog is very at ease with our house and with us. There’s not much change in environment for the dog even when he moves over. J and K love Simba (who doesn’t want such an adorable dog?). It’s J’s favorite breed of dog. The dog is tame and child-friendly. Me? I like the name Simba. Of the Lion King movie. It exerts the aura of a leader, justice, wisdom, and power. Everything fits snugly and signals that this is the time to have a dog. Another factor is age. J and K are 14 and 11 respectively this year. Not too early and not too late. J still has 3 years to go before going to college. She has plenty of time to play with the dog. Plus I feel they are ready to take in extra responsibilities, besides house chores and schoolwork. It’s also time to reinforce the teaching of discipline in them. Having a dog requires patience and persistence. It’s not a 100m run but marathon. These are good values that a child should have. Hopefully, I can teach them through a dog. Dogs make good playmates. When J and K are lonely or sad (not that I wish them that but in case it happens), at least they have Simba to turn to. Dogs are loyal and they treat people equally. I believe it’s therapeutic to play with a dog and it’s an excellent stress reliever. A dog can brighten up your day. Walking a dog is an excellent form of exercise for the kids too. When you feel good, you study well and this can improve your health too. Physically, mentally, and psychologically. Many children (adults alike), due to ignorance, treat animals with cruelty. By having a dog, you have first-hand opportunity to learn about dogs. The temperament. The behaviour. Likes and dislikes. When you know about them well, you tend to treat them better. Nurturing a dog is like nurturing a baby. You have to take care of the dog’s well being. From food to hygiene, from bonding to exercise. The dogs deserve nothing short of love and care, just like us. 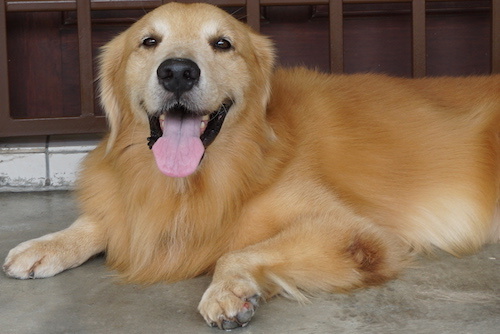 The dog can train J and K to be more compassionate and loving towards dogs, and animals in general. This is the biggie. It’s a great way to teach J and K about responsibility. After having a dog, you can’t leave it unattended. You have to spend time with the dog: bathing, feeding, playing, cleaning up, etc. It’s a huge responsibility of making sure that the dog is being taken care of. I hope that J and K would not budge from their responsibilities they have agreed to perform. Or better, do more of what has asked of them. Fingers crossed. Teaching problem solving skills becomes easier when it is of someone’s interest. When you’re enthusiastic about something, you are more likely to learn to overcome any hurdles that come your way, as compared to something you don’t have interest in. Since J and K love dogs, naturally they will be more motivated to overcome any dog-related problems that they will face. I will stay out of the picture and let them fix the problems themselves. It can be any approach as long as it solves the problem at hand. If needs be, I will only guide them on the sideline. At the moment, they are excited and have already started reading about dogs on the Internet from a website given by the previous owner and one helpful neighbor. In fact, this is the main factor for my change of mind. I don’t mind if J and K fail to keep promises on their responsibilities (psst, don’t let them hear this). I can be the backup though I wish this won’t happen. I know truly well that J and K love dogs like crazy. As a parent, I want to create as many fun and joyful experiences as possible in their lives. Since they both like dogs, allowing them to have a dog as pet is a no brainer. This simple act can make their day. You can’t believe J and K’s expression when I gave them the green light to have a dog. They were unbelievably excited. J even emailed my wife and me thanking us for allowing her to have a dog. 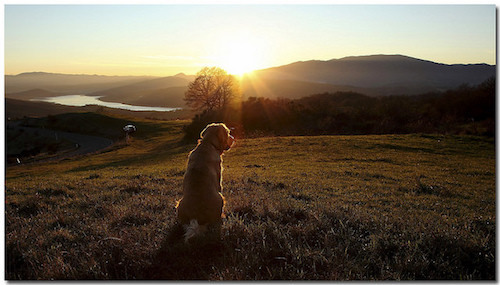 It’s my hope that the dog will be an important part of their lives. When they look back after they grow up, this “doggy” experience will be one of their happiest and sweetest memories. A memory that they will cherish forever. Also a story to tell to their children and grandchildren. I believe that the benefits of having a dog outweigh the responsibilities that come with a dog. I wish J and K would learn to be more responsible and loving when it comes to dogs and animals. And of course, having a great time with their new pet. Simba has been with us for a couple days now since we took him in on 15 October. What? You want to meet him? Hold on a sec, let me see what I can do. Say hi to Simba, our new family member. For more fun and loving parenting tips, check out “The Nonconformist’s Guide to Parenting”.